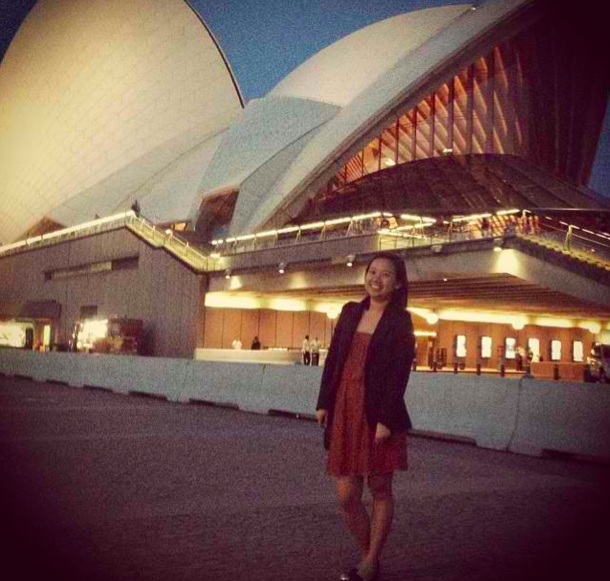 And months after my Sydney trip, I am going to blog about my favourite place in Sydney, the Sydney Opera House! Hehe. I booked a guided opera house tour online, and paid AUD 37 for it. I chose a morning tour, but they offer guided tours from 9am-5pm daily. I walked to the opera house from the serviced apartment. I immediately went to the meet-up point, and they provided us a pair of headset. This is important so one can hear the tour guide. The tour guide told us a lot of stories about the Sydney Opera House. One of the things I find interesting is the design of the opera house. In the 1950s, they opened an international design competition, one of the designs submitted was from Jorn Utzon. The design, however, was one of the rejected designs, until the last of the four judges arrived and looked over the rejected designs. He selected Utzon's design. Jorn Utzon had never seen the site of the opera house prior to the contest. We went through several of the theatres, but was only allowed to take pictures at the Studio. The Studio is designed for any type of event, such as film screenings and circus. Yes, circus. Next, we went to the Drama Theatre; and the the Playhouse. We were not allowed to take photos on those two. We also watched a short video clip about the opera house. We also took more photos of the interiors. This area of the glass wall facing the harbour bridge provides an amazing view. My favourite theatre is the Concert Hall, but we were not allowed to take photos too. The impressive acoustics is derived from the high-vaulted ceilings and wooden paneling. 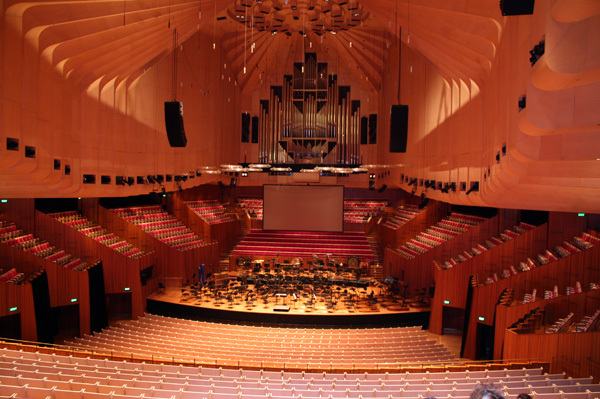 I just couldn't missed my chance on watching a play, or a concert, in the Sydney Opera House. I planned to watch the play, Romeo and Juliet on that same day but decided to watch it on another day. The ticket was pretty expensive on that day. I went back on a Wednesday night, and bought the ticket online for AUD 55. I don't usually watch play, but I found the actors good. They used a rotating cube to transition from one scene to another; the first, on my experience. However, there were times that I find them difficult to understand because they also used Shakespearean lines.